Practicing the Power of Now is a compilation of popular excerpts from the bestselling book, The Power of Now by one of the widely acclaimed spiritual teachers of our time, Eckhart Tolle. This book extracts the essence from Eckhart's teachings in The Power of Now, showing the readers how to free themselves from thinking about the future and dwelling in the past. 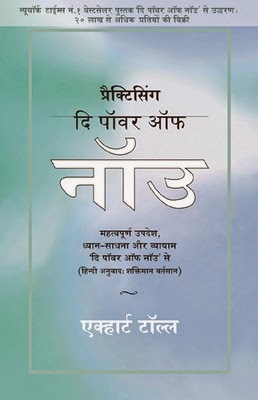 The author equips his readers with simple techniques and meditations to enter into and sustain an awakened sense of consciousness throughout life. The author also shows us how to quiet our thoughts and live in the moment. This book will make for a riveting and engaging read for those who want to learn how to make the most of the present situation without worrying about what the future has in store for us! Eckhart Tolle was born in Germany and completed his education from Universities of London and Cambridge. At the age of twenty-nine a profound inner transformation drastically changed his life. He devoted the next few years analyzing, integrating and deepening that transformation, which marked the beginning of an intense inward journey. He was working in London as a counselor and spiritual teacher. Some of the other books authored by him are The Power of Now and A New Earth. He is currently based out of Canada.